The History of Riviera Maya, which was only named as such in 1999. Not too many years ago, Riviera Maya didn’t exist by name that is. Originally, it was called the Cancun-Tulum Corridor and was renamed in 1999 after a push from the mayor of Solidaridad. Even before it had the name, Riviera Maya, or Mayan Riviera as it is often called, was considered one of the most beautiful, historical tourist sites on the Mexican Coast. For many years, people have seen the draw of the location and it has become an excellent location for destination weddings. 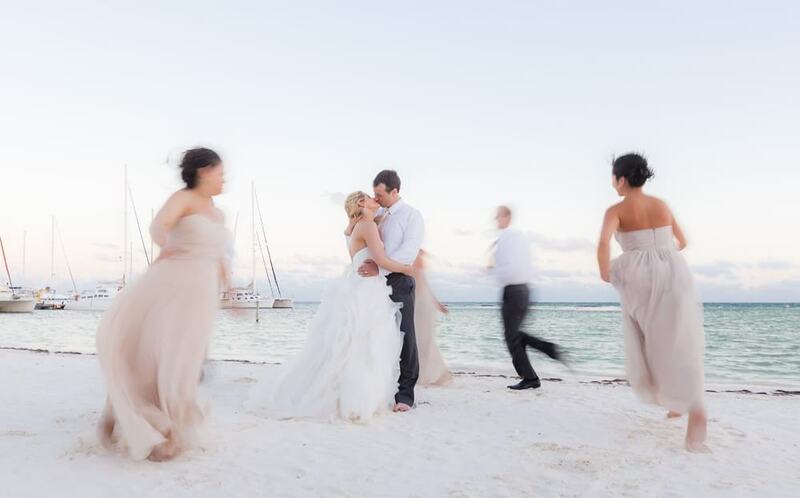 That’s why you will easily be able to find a Riviera Maya wedding photographer. Wedding photography in Mayan Riviera requires that the person behind the camera have the skill and ability to capture the essence of these historical, tropical landscapes. We invite you to spend some time browsing our galleries and you will see that we have the talent and skill to capture the beautiful, exotic moments of your wedding. Not all Mexico wedding photographers in the Riviera Maya are the same, so you need to take some time and choose the right option for your once-in-a-lifetime day. Just imagine walking down the beautiful sandy beaches, holding the hand of your significant other. It is a special moment, but you most certainly won’t be the first couple to do this. For many decades, couples very much in love have done the same thing. They see the appeal of the tropical landscapes and soft waves and they know this is the perfect place to say their vows. As more and more people chose to have their own wedding ceremony on the beach or at one of the resorts, wedding photographers began to thrive. Dating back to the days of 35 mm or medium format cameras, professionals who know how to capture the beauty of the land are called upon to capture couples on their special day. There is another place to consider getting married in the Riviera Maya and it has been one of the favorite locations for up to 100 years. Throughout the area, there are small, historical boutique hotels. They often combine unique architecture dating back for many years along with Catholic artifacts and cultural details specific to the locale. Couples have said their vows in these boutique hotels and historic churches for many years. 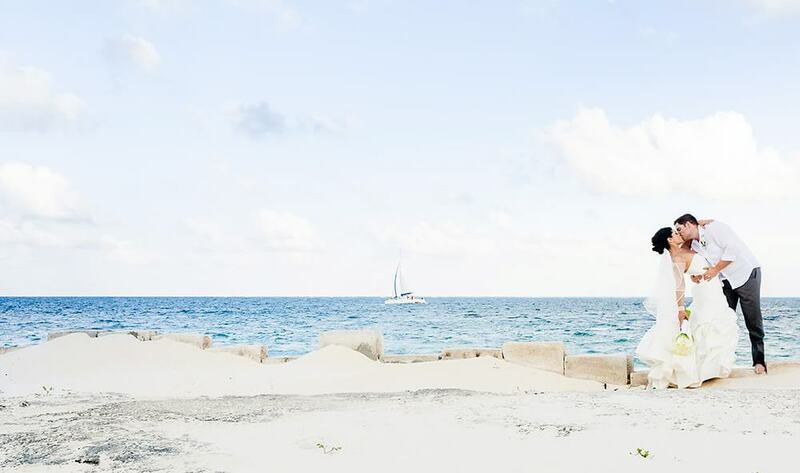 It could be the perfect spot to capture your own special day when you choose a wedding photographer in the Mayan Riviera. Over the past couple of decades, a new wedding venue has arisen. As the area becomes more attractive to tourists, a variety of all-inclusive resorts have built up for people to enjoy. 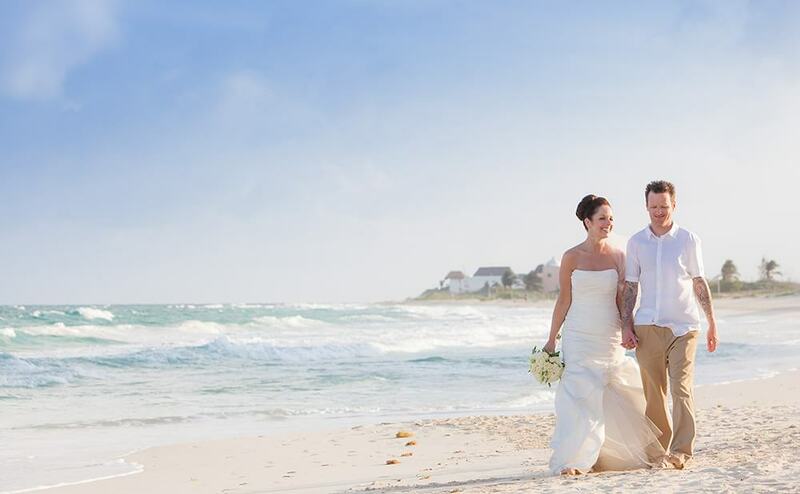 These resorts usually have beautiful and exotic settings for weddings and Mayan Riviera wedding photographers. If couples are looking for a modern flair, this is just what they will find. For decades now, couples have said their vows in tropical gardens around the resorts or even in event centers that allow guests to escape any issues with the tropical weather. Just as these resorts began to appear, the need for more photographers in Mayan Riviera arose. People have always wanted every moment of their wedding ceremony captured in great detail by professionals. In the present day, there are numerous opportunities for beautiful weddings in the Mayan Riviera. People like knowing that they are enjoying something modern and beautiful all the while stepping back into the past. Over the years, the opportunities for photographers in the Mayan Riviera, Mexico have continued to grow. This begins with the historic town streets and boutique hotels along with more modern options like inclusive resorts. Riviera Maya has a new name, but it certainly is not a new place. Couples from all over the world have turned to this locale for many years as an exotic and beautiful venue. They have always known that choosing the right wedding photographer will ensure the very essence of the location will be captured in every single picture that was taken. There are some structures and ruins dating back thousands of years, and ancient civilizations may have had their form of wedding ceremonies on the same spot though they did not have cameras to capture the moments.